Краткое описание: Timber the Tiger's parents go on vacation and leave their son in charge of the island they live on, leaving him and his friends to race for fun. Their enjoyment is derailed when an evil, intergalactic, pig wizard named Wizpig arrives at peaceful Timber's Island and attempts to take over after he conquered his own planet's racetracks. He turns the four island's guardians: Tricky the Triceratops, Bubbler the Octopus, Bluey the Walrus and Smokey the Dragon into his henchmen. 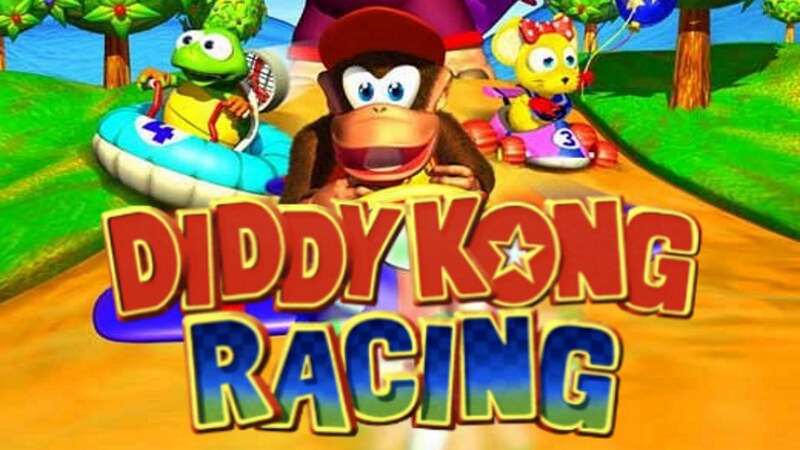 The only solution available to the island's inhabitants is to defeat Wizpig in an elaborate series of races that involves cars, hovercrafts, and airplanes. 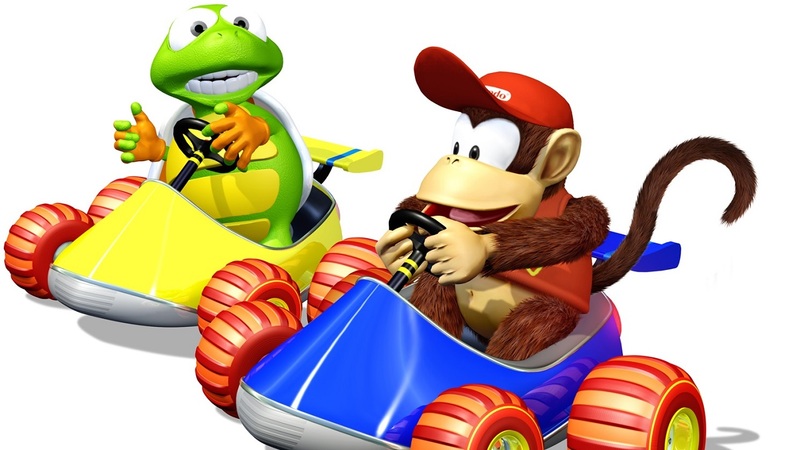 Drumstick, the best racer on the island, failed this challenge and was transformed into a frog by Wizpig's black magic. 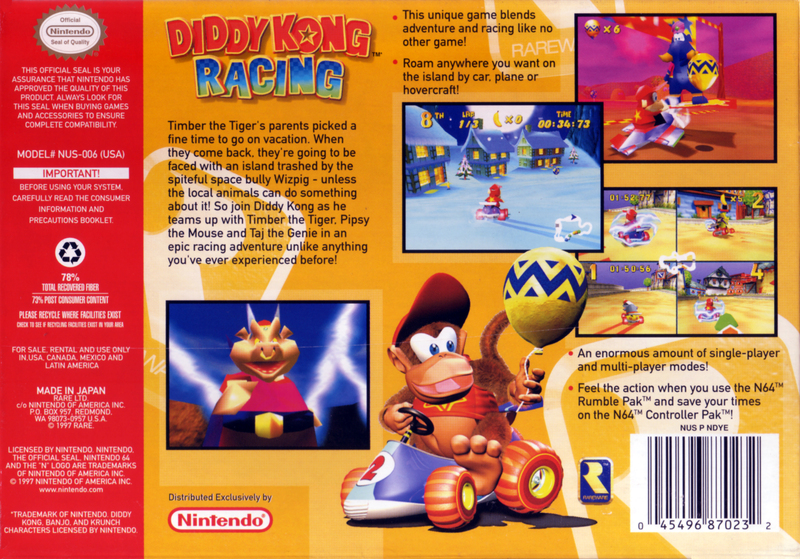 Timber recruits a team of 7 racers: Diddy Kong, the first recruit; Conker (Dixie Kong on DS), recruited by Diddy; Banjo (Tiny Kong on DS), also recruited by Diddy; Krunch, Diddy's enemy who follows after him; Tiptup, an inhabitant of Timber's island; Pipsy, another inhabitant of Timber's island; and Bumper, another inhabitant of Timber's island. 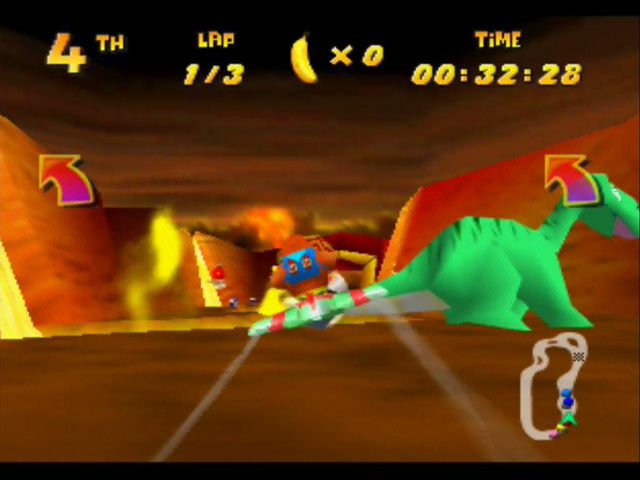 They eventually complete all of Wizpig's challenges and confront Wizpig himself to a race and defeat him. Shortly afterwards, Wizpig leaves for his home planet, Future Fun Land. Fearing that Wizpig would again attempt to invade Timber's Island, the islanders travel to Future Fun Land for a second challenge. 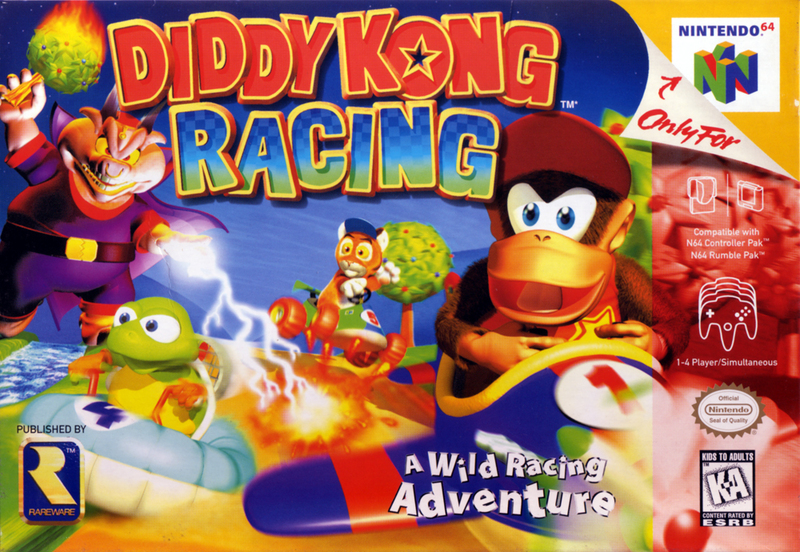 When Wizpig loses the second race, the rocket he rides on malfunctions and blasts him to a distant planet and peace returns to Timber Island for good. Timber the Tiger's parents go on vacation and leave their son in charge of the island they live on, leaving him and his friends to race for fun. Their enjoyment is derailed when an evil, intergalactic, pig wizard named Wizpig arrives at peaceful Timber's Island and attempts to take over after he conquered his own planet's racetracks. He turns the four island's guardians: Tricky the Triceratops, Bubbler the Octopus, Bluey the Walrus and Smokey the Dragon into his henchmen. 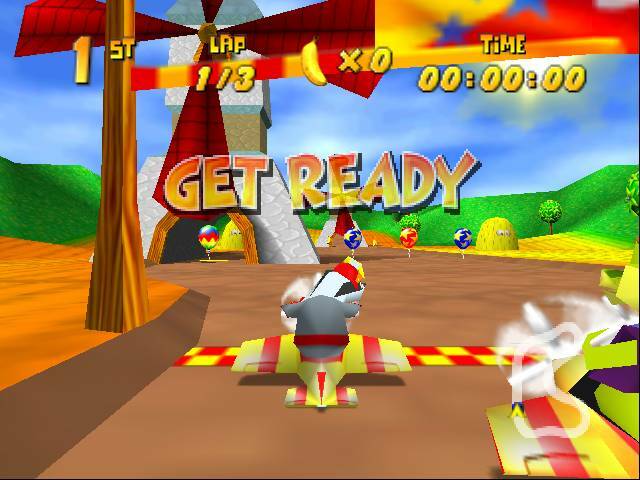 The only solution available to the island's inhabitants is to defeat Wizpig in an elaborate series of races that involves cars, hovercrafts, and airplanes. 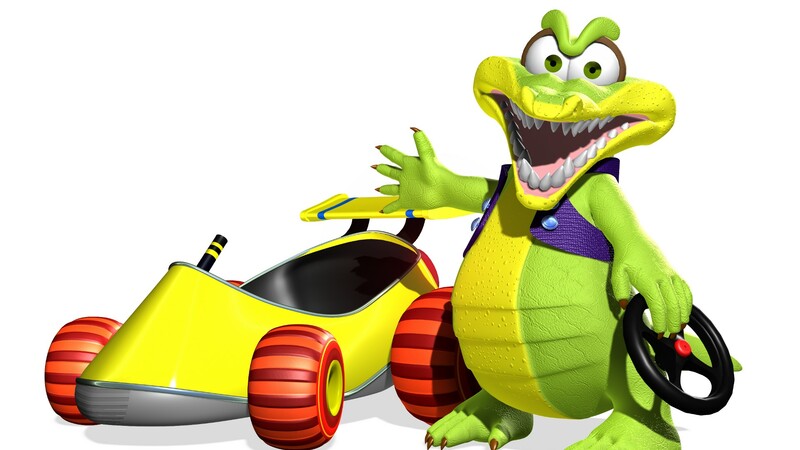 Drumstick, the best racer on the island, failed this challenge and was transformed into a frog by Wizpig's black magic. 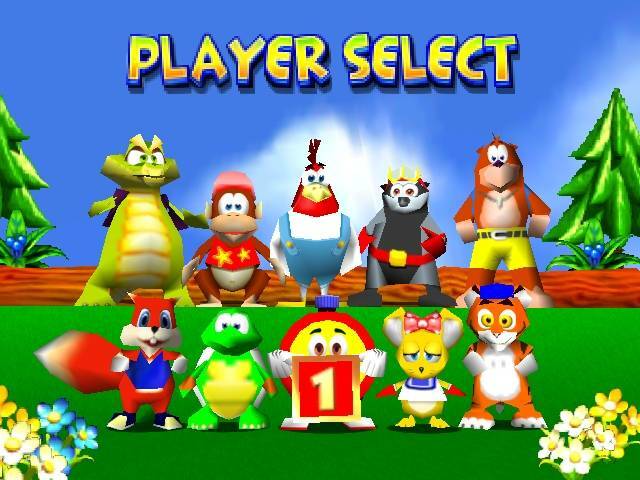 Timber recruits a team of 7 racers: Diddy Kong, the first recruit; Conker (Dixie Kong on DS), recruited by Diddy; Banjo (Tiny Kong on DS), also recruited by Diddy; Krunch, Diddy's enemy who follows after him; Tiptup, an inhabitant of Timber's island; Pipsy, another inhabitant of Timber's island; and Bumper, another inhabitant of Timber's island. 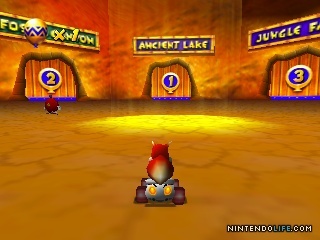 They eventually complete all of Wizpig's challenges and confront Wizpig himself to a race and defeat him. Shortly afterwards, Wizpig leaves for his home planet, Future Fun Land. Fearing that Wizpig would again attempt to invade Timber's Island, the islanders travel to Future Fun Land for a second challenge. 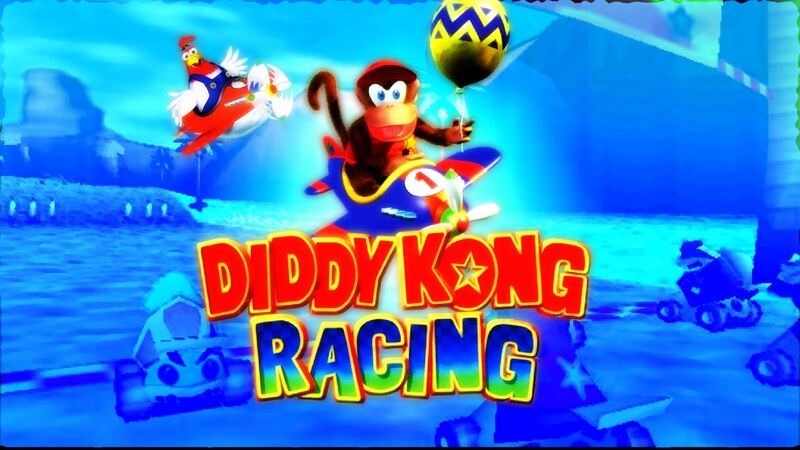 When Wizpig loses the second race, the rocket he rides on malfunctions and blasts him to a distant planet and peace returns to Timber Island for good.